There has been a steady flow of accomplishments on integration. Among them, as of Jan. 1, the Virgin America loyalty program integrated with Alaska Mileage Plan, and the company transitioned to a single payroll and benefits program. The single operating certificate allows Alaska to continue integration work that can only be achieved with the certification. An additional milestone will be reached in March when an Airbus operations control center will be co-located with one for Boeing aircraft at Alaska'sFlight Operations Center in Seattle. 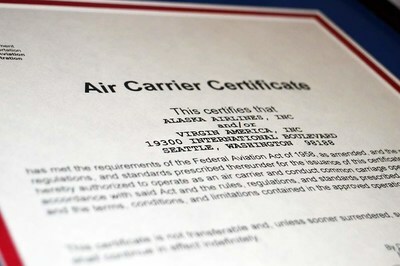 Learn more about the integration on the Alaska Airlinesblog.